There are some of you, dear dreamers, that have been athletes, dancers, or gym rats in your past fitness life. Then one day you merely stopped executing your regular fitness routine. You may have quit your fitness practice by giving up on going to the gym, or you began ignoring the dance classes noted on your calendar, or you terminated your daily running habit out of boredom. Whatever your reason, unfortunately in the clamor of our everyday lives, it is easy to set aside physical activity–even when we absolutely love it. 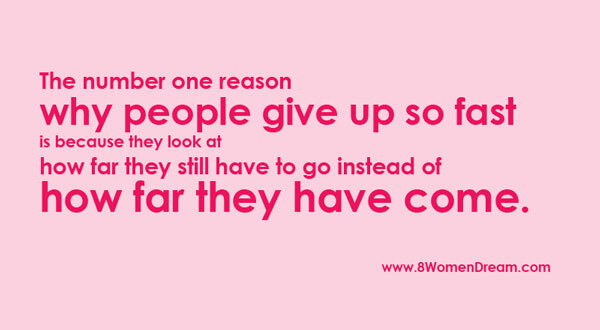 But how do we get ourselves back to participating in the healthy fitness habit we were once so passionate? What killed our fitness motivation? If you have been reading about my frolic into triathlon competitions after the age of 40, then you know I have been recovering from an injury. I know a lot about fitness rest and recovery because at my age I experience it more than I’d like to admit. Last weekend, I joined my husband on a photography day at a beautiful Northern California redwood preserve state park known as Armstrong Redwoods State Natural Reserve. It’s home to the Colonel Armstrong tree, the oldest redwood in the reserve and estimated to be over 1,400 years old. It’s been such a long time since I’ve hiked through the redwoods that the state park felt utterly new to me. The trees are majestic, towering hundreds of feet in the air appearing like they hold up the sky. These exquisite trees offer hikers a dense cover, making our morning photography hike a chilly 45 degrees. 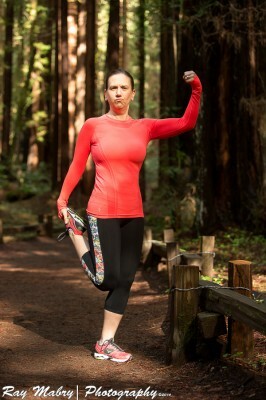 One task for the day was to practice my over-40 modeling skills and have my photographer husband capture fitness photos of me running through the forest before I’d consider attempting my first long-distance run since my injury. The idea was to capture the essence of how healthy fitness looks on me before I was dripping wet with sweat from running. I also told myself that if I decided not to run that the hike and photography shots were exercise enough for the day. 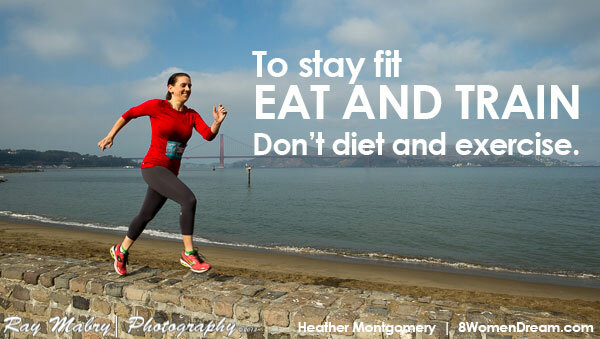 This is the exact thought process that takes us out of our fitness mindset, but we often don’t recognize it as we’re doing it to ourselves. My husband, who knows me too well, challenged me to try a short trail run while he finished working on some nature shots and lighting techniques. I was motivated to follow his suggestion with the idea that a run might finally warm my shaking body. “A short run is no biggy,” I told myself. Feeling strong! Getting fitness motivation in Armstrong Woods. I didn’t realize how low my energy was until 5 minutes into my ‘short’ run. My leg injury and miserable wet weather had lead to fitness demotivation. That feeling of not feeling like or wanting to workout. As I started up my first incline, I feared I’d lost it. 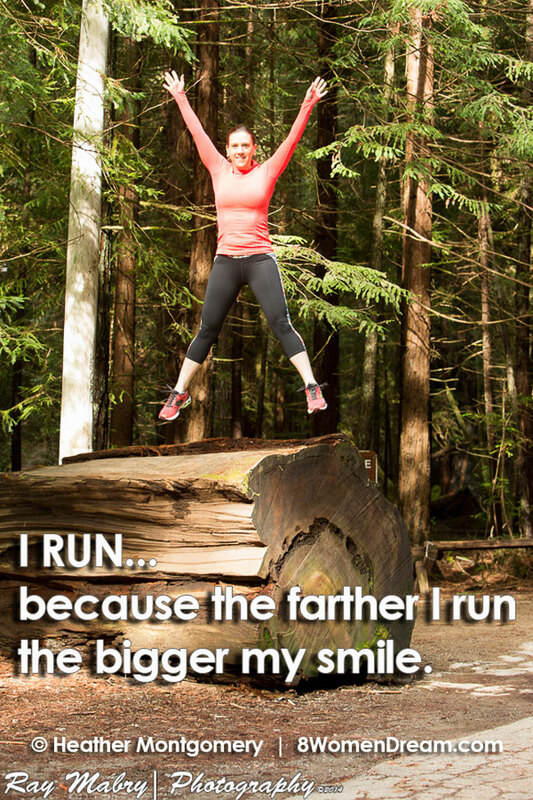 The “it” I am referring to is the rhythm of a run–the pace, the lungs expanding to capacity, the feeling that overtakes me after 15-20 minutes of running when my body and mind sync into one as peace and happiness fill my soul. 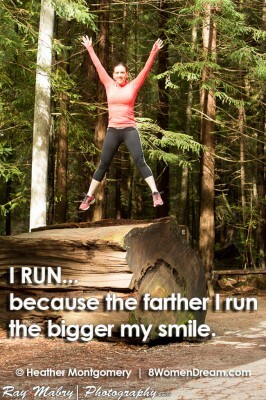 And my runner’s high is what keeps me running when parts of my 40ish-year-old body beg me to stop. It took longer than 30 minutes for the old feelings of running happiness to return, and by this point, in my run, my lungs and legs were hurting. Trail running uses many stabilizer muscles–especially muscles that don’t get used when you routinely run on a hard surface like asphalt. With each foot landing on the soft redwood needled path under the giant trees’ dappled light and the sound of my deep inhales of fresh air, I began to feel just how damn good it was to be running. Even with the pain, I was excited and happy to be there. I felt motivated. Then it hit me– ‘just doing it’ IS fitness motivation. You have to get up and just do it–whatever is your fitness passion. 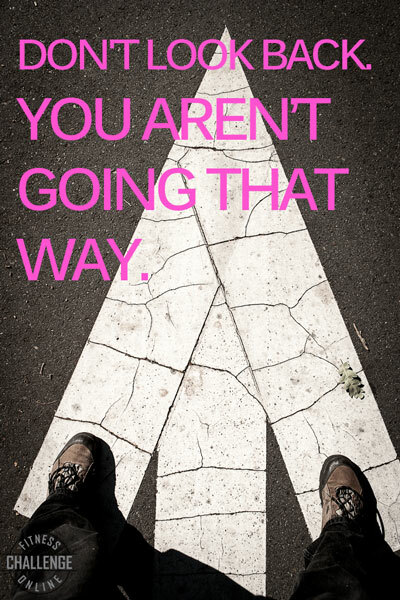 You have to do it without thinking. If you spend even one-second hesitating and thinking about it, all your excuses for not doing it will flood your mind and these thoughts will de-motivate you. You have to put on your workout clothes and shoes, grab your keys and water and go without analyzing it. The minute your mind starts with a possible reason for not following through you have to yell “No!” and immediately switch your thoughts to going out the door. You can’t give yourself time to think about working out. You simply have to take one step, and motion will take care of your motivation. Meanwhile, I’ll be over here rolling out my sore muscles … giddy with fitness motivation happiness.